We had a wonderful experience with 110 Builders because they live up to their motto: they give 110 percent every day! They built a custom home for us that we are thoroughly enjoying. Blake, Caroline, and Cherie were very interested in ensuring they built our vision and very attentive to details and quality. One key to success was communications: clear, complete, and prompt. 110 Builders exceeded our expectations. Professional and well organized. 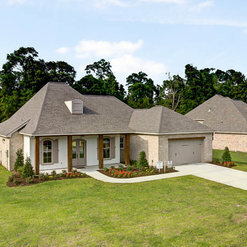 Provided my clients with a good experience and a great quality-built home within the budget and time-frame promised. Blake and Caroline truly give a 110% effort! I would and have recommended 110 Builders to other clients. Working with Blake at 110 Builders is simply a pleasure. He is highly competent and dependable and would recommend his company to my friends to build their homes. In the summer of 2017 we bought a lot with the intensions of building a new home and down sizing. I worked with a local architect and an engineering firm and developed plans to fit our needs. Once the plans were completed, the task of selecting a builder began. Numerous local contractors were considered. Our selection process placed emphasis on quality, honesty, integrity, and reputation. 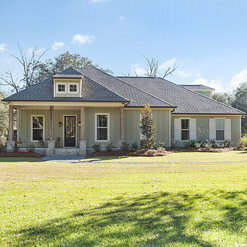 Based on local recommendations, we hit the jackpot when we selected 110 Builders owned by Blake and Carolyn Mendheim. From the very beginning, they were hands on. 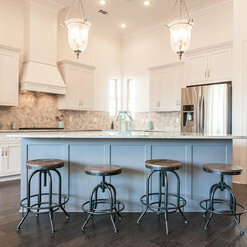 We were provided with a project estimate and given several levels of products to select from including bricks, siding, roofing, plumbing products, light fixtures, flooring, and paint. Every thing was presented with cost estimates in an attempt for us to coordinate within our construction budget. Construction began in early November 2017 and we received out Certificate of Occupancy the first week of February 2018. All this was done in spite of the inclement weather from constant rain, snow, and freezing. 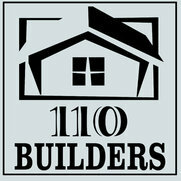 110 Builders motto is that they give 10% more than 100%. Thus their name, 110 Builders. In our case, they gave even more. 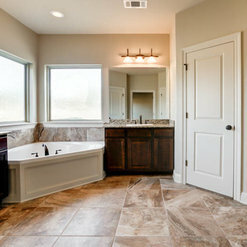 Their sub-contractors are the best in the area and assure that all standards are met or exceeded. We were advised on a regular basis of the status of the construction as well as the budget. 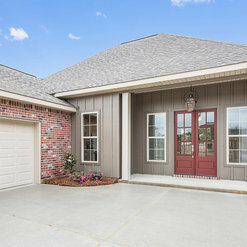 The final product, our new house, is a product of beauty. We can not give enough praise for 110 Builders run by a Christian God Fearing couple. We highly recommend 110 Builders for any of your new construction work. 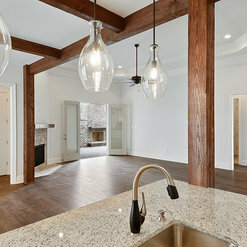 I purchased a home built by 110 Builders, had a great experience working with Blake, couldn’t ask for a better builder. Every concern we had was addressed right away. 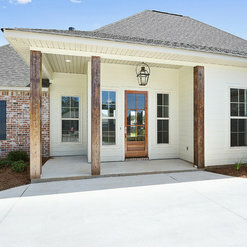 Blake and his team made sure we were completely satisfied with the house. One year after closing on the House, Blake did a walk through to make sure everything was still okay and even had a painter do some touch-up work. The level of service we received from 110 Builders was exceptional. I would defiantly use 110 Builders for future projects. We bought our home from 110 Builders 3 1/2 years ago. We knew immediately that it was well constructed. It was a pleasure to do business with Mr. Mendhiem and would highly recommend him to anyone. My wife and I were looking for a custom builder that was professional, but more so personable and willing to listen to our needs. When we first discovered Blake Mendheim with 110 Builders, we were convinced that he would be our builder. We didn't take the selection lightly because we had a previous structural issue from another residence. We painstakingly questioned and interviewed dozens of prospective builders. While some we decent, none gave us the immediate attention and the feeling as if our future home was as important to him as it was us. Blake was very informative, listened to what we wanted, suggested things that we didn't think of, and kept us focused on the house that we were building. He responded to hundreds if not thousands of questions (not exaggerating) via telephone calls, texts, or emails promptly and without fail. He never got fruatrated or made us feel as if any concern or question was unwarranted or bothersome. Above all, we found Blake to be an extremely honest person with integrity. 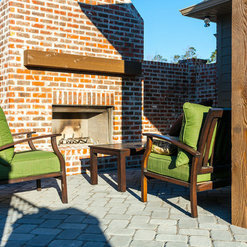 We enjoyed working with Blake so much that we hired him within six months of our home construction to create an elaborate outdoor kitchen/courtyard/fireplace. My wife and I cannot give Blake and 110 Builders enough praise. We are extremely happy with the finished product and the friendship that we developed with Blake and his lovely wife. Not only would we recommend this company, we would use him to build a future home if that ever materialized. 110 Builders built the home I bought in 2015. 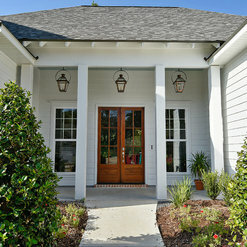 110 Builders is an excellent company that builds high quality, impeccably designed homes. The quality of the construction is outstanding. When I walked in the home, I knew immediately it was my dream home. 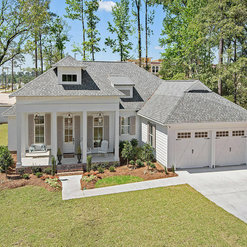 The attention to detail, openness of the floor plan, the overall design of the floors, crown molding, bathroom designs, and outdoor patio are incredible. Blake was always supportive and quick to respond to any questions or needs I had with regard to the house. 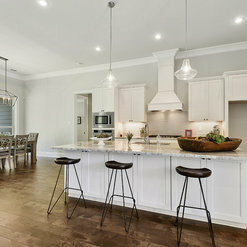 It is obvious 110 Builders is a company that takes pride in their work and I highly recommend Blake Mendheim and his team to anyone interested in building a new home. 110 Builders was a pleasure to work for. Professional prestige builder who follows up with being reliable to their clients and making them fell comfortable with satisfaction. 110 builders is asset to the industry. They were so down to earth. We fell in love with the home immediately seeing it in person. The quality of their work is exceptional. At closing we were given a binder with all of our appliance manuals. As well as contacts should we have any issues. They even provided a punch list to write down any little issues we come across. As well as saying they would follow up with us in a few weeks. If AT&T would take lessons from 110 Builders they would have a lot of happier customers. No TV with football season here is not going to b good. I would highly recommend 110 Builders. Commented: what is the name of the brick?Thank you for your question. The name of the brick is Fort Jackson. 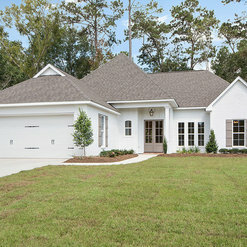 Commented: What paint color is the body of the home?Thank you for your question. The color is Benjamin Moore HC78 - Litchfield Gray. The exterior is stucco and brick. Commented: What brand and color is the roof shingleHi. Thank you for your interest. The shingles on this house are Owens Corning Oakridge. The color choice is Driftwood. Commented: Floor PlanThe living room dimensions for this house are 17 x18. Kitchen - 13 x 10. Dining - 11x13. All have 11' ceilings.